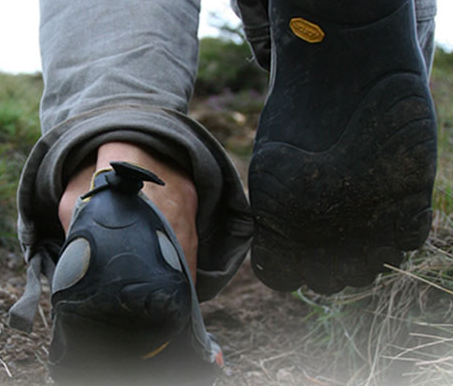 Vibram™ Five FingersOne of the latest rages is the Vibram™ Five Fingers. I first saw a pair when my CrossFit instructor showed up wearing them. The idea is that they provide just enough protection for your feet that you don't have to worry about stepping on sharp stuff, but not so much that your stride changes. I find this idea intuitively appealing. I know from my time in Taekwondo that I move my feet differently when I am wearing shoes than when I am not. So the question is, what proof is there? Here is an article from Nerd Fitness on the subject. I have to admit I find the article kind of funny. One of the possible objections is that your feet might get cold running barefoot in the winter. Hmm.. Maybe running isn't the best idea in the winter? I do know people who buy crampons to run in the winter here in Flagstaff, but if you really want outdoor aerobic exercise you could snowshoe or cross-country ski where it is cold enough to snow. Trail or street running in the snow and ice is stupid. Sorry. If it is just cold, cry me a river. Running has become a kind of gluttony for some people, which can land you in the third circle of Hell. Pick up a different kind of exercise for the winter, I promise it will not kill you.